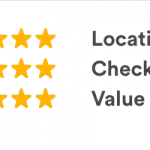 Reviews are the most important factor, by far. Other than reviews, an incomplete profile correlates with a poor guest experience. Up to 40% of reservations are from new guests. If you receive an inquiry from an incomplete guest profile, simply ask them to complete more of it. 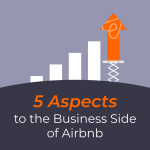 If you’re in a hurry, it all comes down to how complete the Airbnb guests profile is. Did the guest do the bare minimum to setup a profile? Did he or she spend time poking around the website and filling in the optional profile fields? Or, does the profile land somewhere in between? As an Airbnb property manager, I’ve encountered thousands of profiles and noticed a common theme: an incomplete profile correlates to a “bad guest experience”. To clarify, a “bad guest experience” does not mean that you did not get along with the guest personally. It also does not mean that a guest made some late night noise that disturbed a neighbor. A “bad guest experience” means a more serious situation that causes damage to the property or the host. This could range from a guest who invites unconfirmed friends for a party or leaves the house extra dirty, to a thief who makes a reservation for the sole purpose of robbing the host. It’s important for me to note that these instances are extremely uncommon, a fraction of a percent. However, bad guest experiences do happen so as a host, you want to turn over every stone to avoid ending up in that fraction of a percent. In the first part of this article, I’ll show you a complete profile and explain each of the thirteen sections. Then, I’ll show you a profile that meets the bare minimum standard. Next, I’ll point out which parts of the profile are most important and why (spoiler alert: a verified ID is not #1). 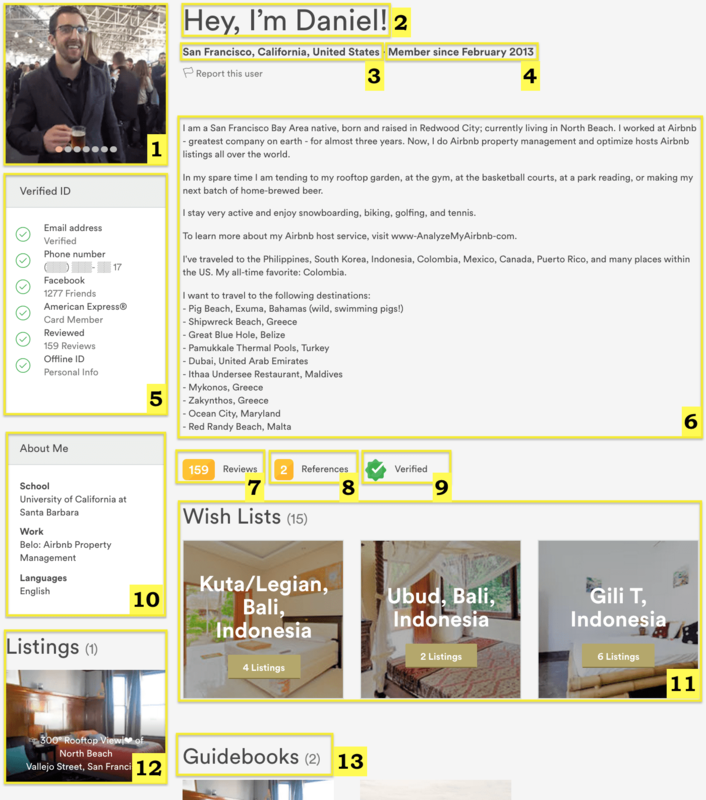 Lastly, I’ll give you some tips on how to identify potential problem Airbnb guests based on profile alone and strategies to encourage guests to complete their profiles. Like I mentioned above, there are thirteen parts to complete a profile. Below is a 100% completed profile (yes, it’s me!). Caveat: I am a Superhost, but took this screenshot before I became one. Not to toot my own horn but if I requested to stay at my listing, I would happily and easily accept because I went above and beyond to complete the profile. The profile photo is a close-up of me, and it’s not blurry. I listed my first name. I identified my current city or where I’m from. I created my profile many years ago (note: this is automatically populated in any profile; however, it’s an important piece of information). I verified myself multiple ways. My description is more than 100 words. Hosts reviewed me (and, in my case, guests also reviewed me). I verified my offline ID. I provided additional information about myself. I created at least one Airbnb Wish List. 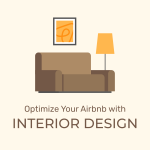 I created at least one Airbnb guidebook. We’ll get into each section and which are most important soon. Now, let’s look at an incomplete profile—one that can’t be any less complete. How many sections are complete on this profile? Trick question. The answer is zero. The profile photo (1) is not ideal because we cannot see the person. The name (2) does not count because, well, “D” is not a full name. The guest did not identify a location (3) because Airbnb defaults to “US” based on IP address. 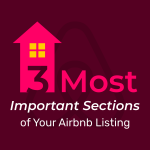 The verifications (5) are incomplete because you must verify an email address and phone number to register with Airbnb. If a person with this profile sent me a request, I would deny it. Later in this post, I’ll touch on a strategy on how, as a host, you can encourage a guest to complete his or her profile. 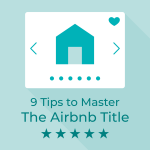 This will put you at ease when managing requests from Airbnb guests with brand new profiles. Before I discuss how you can encourage Airbnb guests to complete profiles, I’d like to rank each profile section in order of importance. 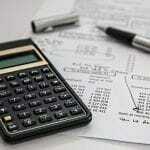 The number inside the parenthesis refers to the section of the profile as identified above. Reviews (7) – If other hosts reviewed the guest, this gives you a clear indication of who he is as a guest. If he has reviews from other guests, it means he’s also a host— this is the holy grail of Airbnb guests because he knows what it’s like to be a host. Obviously, you should ensure the reviews are positive or that he responded appropriately if the reviews are negative. Hosting (12) – If the guest is also a host, she knows what it’s like to be in your shoes. You should look at her reviews to check for positive feedback. 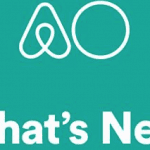 Date (4) – Though the profile automatically populates this field, it’s extremely important when it comes to Airbnb guests who may be thieves trying to rob you—thieves don’t plan months or years in advance. Let’s say you lost your wallet, a thief recovered it, created an Airbnb profile, and even verified the ID. If the thief were smart, he would put up a nice photo and fill in a name, location, and description. However, with a recently created account, the profile may still lack reviews. Profiles without reviews raise red flags for me! 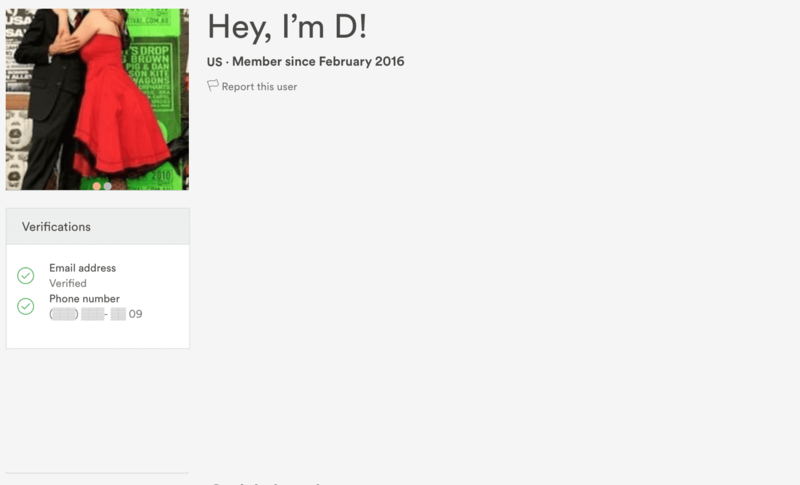 Unfortunately/fortunately, Airbnb gets so many new guests every day that profiles without reviews are common. In scenarios like this, review the remainder of the profile for completeness. Verifications (5) – The bare minimum verifications are phone number and email address. When you start seeing Facebook, LinkedIn, American Express, Offline ID, and so forth, the guest went above minimum standards. Verified ID (9) – Verified ID is important but because a thief can verify any ID, it shouldn’t be as important to a host as other elements of a guest profile. In conjunction with a completed profile that’s a few months old, a verified ID is a powerful piece of information. Description (6) – You can tell a lot about someone through his or her writing. A profile without any writing raises a sizeable red flag, whereas a profile with a description of less than 50 words raises a small red flag (think “I like to travel and looking forward to staying with you.”). Anything around 100 words is great! For reference, my profile is 177 words and probably on the longer end. 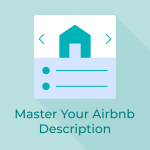 Learn how to craft a perfect Airbnb profile description. Photo (1) – A photo is not as important because anyone can add a photo, and Airbnb does not verify identity through photos. However, is the photo blurry? Is it of a group? Is it of the sunset? Is it a drawing? If it’s anything but a clear and up-close photo of a guest, this would raise a red flag. About Me (10) – Has the guest taken time to fill in his work, school, and language? If not, it might raise a red flag, depending on what else he completed on the profile. If he completes the About Me section, he went above and beyond the minimums. It’s great if this section is complete but if it’s not, I would scrutinize the rest of the profile. References (8) – Here’s information that gives you a glimpse into the guest’s personality and means the guest went above and beyond the bare minimums. 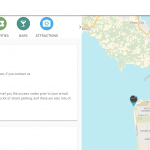 Location (3) – Does the profile display “US”? This means the guest left the location field blank, and Airbnb populated the field based on IP address. Or, did the guest enter a location? 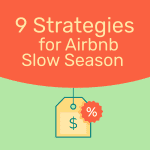 If you live in a volatile Airbnb market like New York, Barcelona, San Francisco, etc. then I recommend you change your city to someplace nearby that’s pro-Airbnb. This is especially true if you have multiple listings. You never know who’s scrapping the website for data on hosts in certain cities. Name (2) – Although this is not as important, a red flag should raise if the guest’s name is something like “xyz” or “D”. The guest can type any name, and it’s not necessary to match the profile name with the verified identity. Overall, this would give you another bit of information about the guest if the name is anything but, well, a name. Wish List (11) – This is totally optional, but a Wish List means the guest has taken some time to poke around the system and observe the website and its features. Guidebook (13) – This is only applicable if the guest is also a host. This section means the host created a guidebook for their Airbnb guests. It’s not highly used or highlighted on Airbnb, so a lot of good hosts do not use this feature. If the guidebook is there, it would give me increased confidence in the guest. Has the guest been reviewed by other hosts? Has the guest been reviewed by other guests? Reviews are the most important section of any profile, hands down. If the guest has more than three reviews as either a guest or a host in the past 12 months, it’s a safe bet. The decision gets subjective when the guest does not have any reviews. In these cases, I defer to the 11 remaining sections of the profile (3-13). I consider nine of these sections important (1, 2, 3, 4, 5, 6, 8, 9, and 10). Eight are immediately editable by a guest who’s just created their profile (#4 is not editable). Barring any egregious items on the profile, I would accept any guest who has at least seven sections complete. The description is hateful or distasteful. References speak negatively of the guest. Typically, the guest will respond that she was in a hurry and will finish the profile when she gets home, or something along those lines. If the guest responds negatively, this should be considered a red flag. One aspect of the reservation process that I left out is the message thread. The message thread is equally important as the profile for the same reason why the description is important—you can tell a lot about someone by how he writes. If the messages are extremely short or sound suspicious, ask more questions to get a feel for who he is and the purpose of the trip. 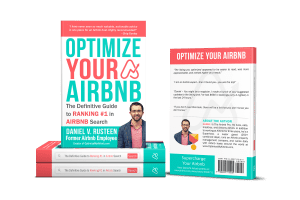 These are strategies I’ve developed over the past three years as a host and Airbnb property manager, in which avoiding problem Airbnb guests is of the utmost importance to ensure the safety of my hosts and their homes. If all else fails and you’re still unsure, consider accepting and doing a live check-in. Don’t inform the guest in advance of your live check-in. Meeting the guest face-to-face will allow you to detect any red flag indications from their behavior or attitude. What are your strategies? Please tell me in the comments below.